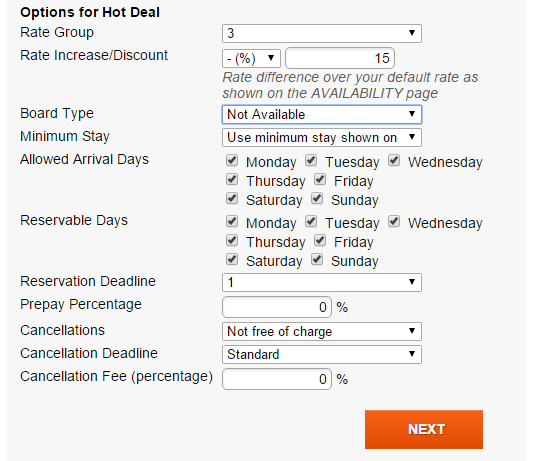 The HotDeal Rate Plan has separate availability from the Default Rate Plan, so you will see "double" Availability (one set for Standard, and another for Hot Deal). Thankfully, if one booking comes in for any rate, we'll automatically reduce the Availability for both rate plans. Meaning that if Hot Deal is booked, we'll close the room for all rate plans. Also, as far as we are aware, a customer can not book Hot Deal and trade fair with the same booking, meaning the chance of overbooking is extremely small.